Tracie Watson - Nielsen Construction California, Inc.
Tracie joined the Nielsen Team in 2009 and has been in the construction industry now for over 40 years. Her previous experience was working for a large underground utility subcontractor where she was involved with all aspects from bidding and pricing, on-site management through close out of the project. She was in charge of ordering and coordinating all materials, scheduling crews and equipment to billings and close-out. Tracie works closely with the Chief Estimator, all Nielsen personnel, subcontractors, vendors and material supplies, assisting with pricing and project budget control. 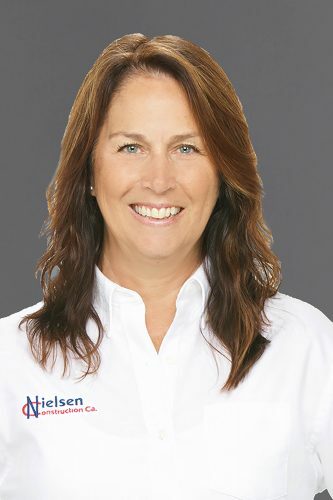 She is also responsible for the overall coordination of Nielsen’s personnel on a per job basis.